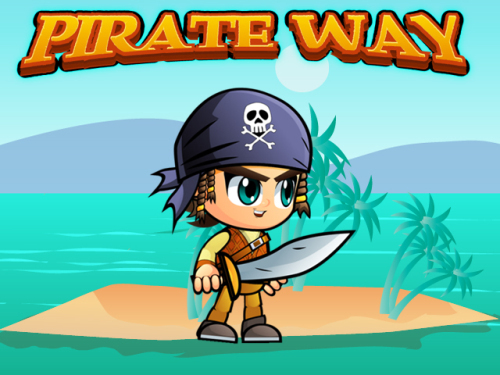 Description Pirate Way is a great adventure game. Help Cat to collect all coins and past all 15 levels.His objective is a treasure on the top of the platform. Be carefull cose Pirate have a lot of enemies. Use arrows keys to move Pirate, and down arrow for shoot. Have Fun all the way in this funny adventure game! Good Luck!